Leaked documents showing major disagreements between the EU and US on the TTIP free trade deal has raised a raft of questions about its future and implications. Alistair Driver looks at the issues for UK farming. The European Commission has been forced to deny claims a new trade deal between the EU and the United States could result in a dramatic lowering of EU standards in areas like food production and the environment. The future of the Transatlantic Trade and Investment Partnership (TTIP), seeking freer trade between the US and EU, appeared to be in doubt this week after leaked documents highlighted the gulf between the sides in key areas. The deal, further complicated from a UK perspective by the June EU Referendum vote, would present fresh export opportunities but also potential import threats to the UK unless sensitive products such as beef were granted proper protection. But the focus following the leak of ‘secret documents’ outlining the sides’ positions, published by Greenpeace Netherlands, was on a potential lowering of standards within the EU to facilitate the deal. The document described the differences as ‘irreconcilable’ in places, prompting fresh claims the whole deal, already the subject of protracted negotiations, was in doubt. One of the biggest areas of concern highlighted through the leaks was the US’ desire to grant big corporations a greater say over EU regulation. The US wants the EU to inform its industries of any planned regulations in advance, and to allow them the same input into EU regulatory processes as European firms. The documents also suggest the EU is also under pressure to accept the more relaxed approach the US adopts to genetically modified crops (GM), for example in permitted levels of GMO contamination in imports. Greenpeace claimed the deal could also result in Europeans being forced to accept lower US animal welfare standards and pointed to the use of hormones in meat production in the US, as well as its greater dependence on antibiotics in farming. Jorgo Riss, director of Greenpeace EU, said warned human health and environmental protections would be ‘seriously undermined if negotiations continue on the current path’. He said: "These leaked documents give us an unparalleled look at the scope of US demands to lower or circumvent EU protections for environment and public health as part of TTIP. "The EU position is very bad, and the US position is terrible. The prospect of a TTIP compromising within that range is an awful one." Following the leak, some EU leaders voiced their opposition, led by French president Francois Hollande saying ‘non’ to TTIP. He said: "We do not support unregulated free trade. We will never accept the questioning of essential principles for our agriculture, our culture, in exchange for reciprocity on public procurement." Werner Faymann, Austrian chancellor, said: "This trade agreement can surely not be approved in this state. The legitimate concerns of the public must be taken seriously." But EU Trade Commissioner Cecilia Malmstrom hit back, denying in her blog the deal was under threat and dismissing the furore over the talks as a ‘storm in a teacup’. She stressed the document merely represented ‘each sides’ negotiating position’ and said it should be no surprise they held ‘different views’. She said: "It is only normal that both parties in a negotiation want to achieve as many of their own objectives as possible. "That does not mean that the other side gives in to those demands. That does not mean that the parties will meet halfway. In areas where we are too far apart in a negotiation, we simply will not agree." "Any EU trade deal can only change regulation by making it stronger." During last week’s visit to the UK, US president Barack Obama said he was confident the deal would go ahead and that completing it was a priority for his Government. Prime Minister David Cameron also remains supportive. This week, he insisted, despite Mr Hollande’s comments, the deal was still viable but it would take ’political courage to get it over the line’. He said the UK was still pushing for the deal, which he believes will be good for the UK. Views on TTIP - opportunity or threat to UK agriculture? TTIP has always divided opinion in the UK, never more so than now in the context of Brexit debate. 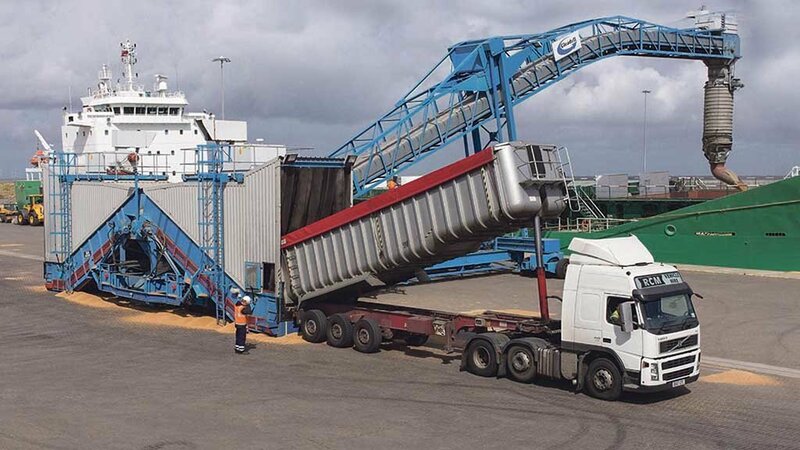 As far as UK agriculture is concerned the questions are over whether the opportunities of higher exports to the US outweigh the threat of imports and what the implications would be as far regulation is concerned. A Defra spokesperson said: “By staying in the EU, the UK’s small and medium-sized companies will benefit from the TTIP agreement being negotiated with the United States. 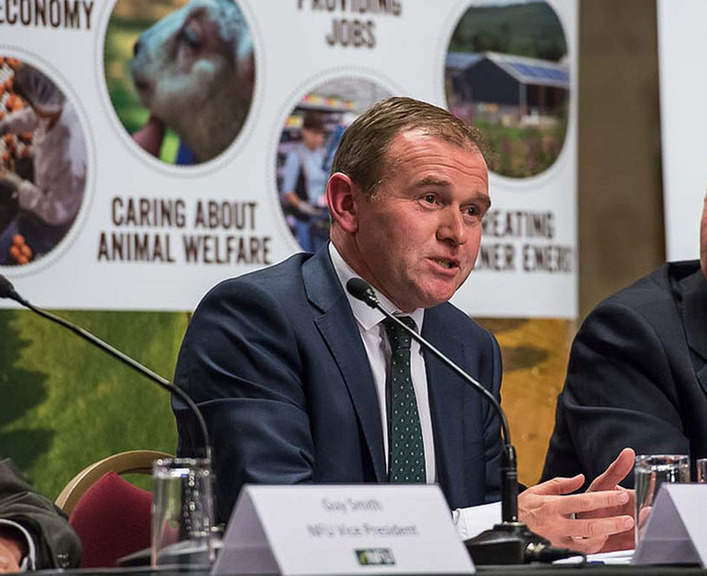 But the Department's Farming Minister George Eustice, a leading campaigner for Brexit, insisted the UK would not lose out on any benefits by exiting the EU. He said “If we were to leave the EU then the current EU-US free trade agreement being discussed would simply morph into something different during the transitional period. 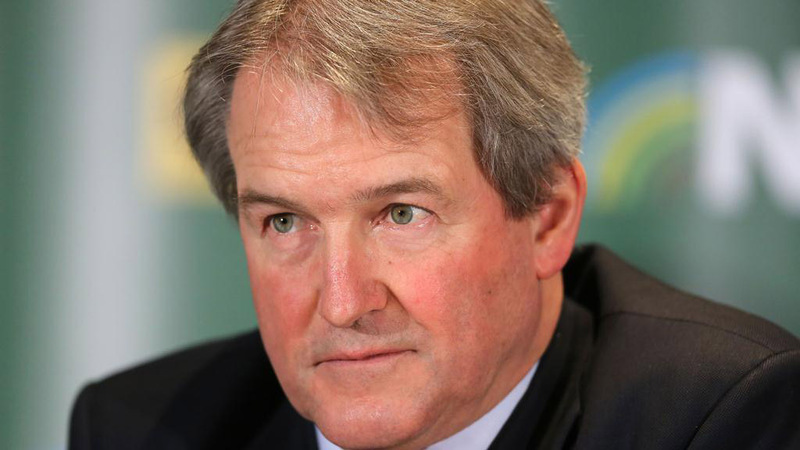 Fellow Brexit campaigner, former Defra Secretary Owen Paterson, said the leak showed the talks were in ‘real trouble’. He said: "I don't think it (the TTIP deal) will go ahead. More important is for us to leave the EU and get our full seat on the world bodies. A lot of things TTIP is trying to do can be negotiated on the world global bodies. You don't need blockbuster deals like TTIP, which are getting out-of-date. "What is not clever about TTIP is giving big corporates power to settle differences in the Investor-State Dispute Settlement. That may work to our disadvantage." "TTIP is going to get stuck on certain issues. For example there are big differences between American and EU and, above all, British ideas on animal welfare. We have much higher standards. "The trick is to get like-minded countries to work at world level. We need a world standard agreed." "If TTIP did go ahead, complete free trade would pose a threat to certain UK sectors like red meat," he said, warning that the Mercursor free trade agreement also being negotiated with South America countries would pose an even bigger threat to UK beef producers. But NFU chief economics adviser Gail Soutar was confident a deal would eventually be reached and without the Commission being forced to relax regulations on some of the areas that have been raised. She said: "The NFU believe that there could be significant benefits to a TTIP deal, but the challenges which lie ahead for negotiators should not be underestimated. There are significant differences in policy and approaches to food safety, notably in areas such as biotechnology, hormone growth enhancers and pathogen reduction treatments. "TTIP negotiations must respond to criticisms about downgrading safety criteria for food. "But the European Commission has been clear that some elements such as hormones and GMO crops are off the negotiating table, so I don’t expect the EU to be forced to change its approaches in these areas. "The Commission has been clear that there are a number of red lines. It's clear that there are significant differences of opinion and negotiating stance between the EU and US. But I do believe that there will eventually be a conclusion to the talks." In terms of the opportunities and risks to farmers, she said: "The NFU sees opportunity to increase the value of EU exports to the US (dairy, beef, sheepmeat) further. We therefore support the negotiation process. "We believe that a considered and careful easing of tariffs may be appropriate but this needs to be done on a sectoral basis with due consideration to sensitive products and competitiveness issues." CLA senior rural business adviser and economist Charles Trotman said the draft agreement had raised a number of issues of concern for the rural economy. He said: “In principle, a transatlantic trade agreement could deliver important benefits for the rural economy. However clear issues have arisen over the details of the draft TTIP agreement, leading a number of Member States to seriously question its validity, and a number of issues have been raised with respect to the rural economy. “Firstly, from our understanding there are no guarantees that the agreement will lead to increased trade flows between the EU and the US. "Secondly there is a real possibility, which is of significant concern, that TTIP as it stands could lead to far greater influence for multi-national companies than would be beneficial to UK agriculture. "Thirdly, there are no guarantees, certainly in the short to medium term, that UK agriculture would see any real positive economic benefit from such a transatlantic trade arrangement.